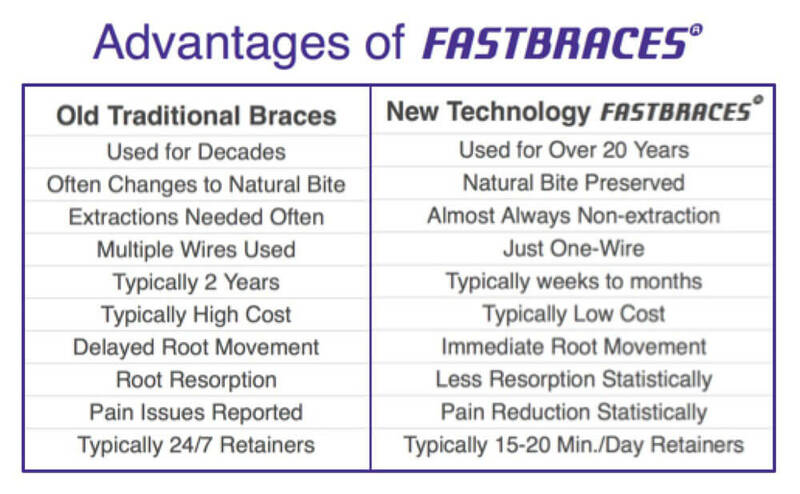 Fastbraces® is an alternative to the traditional braces, in a way that gets you the desired result usually in less than a year. They are also less expensive than the regular braces. By having a patented, unique design, they allow us to treat most orthodontic cases in almost half the time. This way there is less time for gum disease and cavities to develop.